NixCP » cPanel Tutorials » cPanel Login – How can Iog in to my cPanel account? cPanel Login – How can Iog in to my cPanel account? On this tutorial, we will explore the most common ways to login to cPanel, and we will also guide you on how to fix most common errors while trying to Login into cPanel. Start with our cPanel Login tutorial. 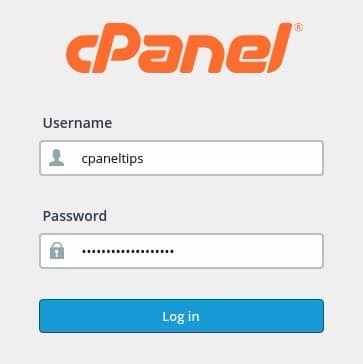 cPanel offers an easy way to Login to the account control panel. Replace yoursite.com with your real domain name. Your cPanel password was provided to you by your web hosting company, ask them help if you can’t find that information. Make sure you replace yoursite.com with your real site name. Solution: ask your web hosting provider to reset your cPanel account password.